Having a good credit score makes life easier and cheaper. Even if you’ve tanked your credit, we’ll give you some ways to bring the number back up. You don’t have to wait seven years to start improving your credit score. There are a few tricks to get that number out of the red. Having a good credit score can save you thousands of dollars over a lifetime. It makes you eligible for lower interest rates for car loans and mortgages. Some jobs even require a credit check. Paying your credit card and loan bills on time. Using less than 20 percent of your total credit line. Avoiding mistakes that result in bad marks to your score (like not paying your bill on time or going into collections). You can lower your utilization by asking for an increase in your limit. Don’t close a credit account. It lowers utilization and reduces the length of your credit history. You don’t have to use the card a lot, just put a recurring payment on it to keep it open. If you have several credit cards, put small, recurring payments on each. More payments across more cards will boost your score. Set them to auto pay so you won’t miss a payment. Paying on time is the biggest factor for your score so even if you can’t pay the entire balance, pay something on time. If you have such bad credit or non-existent credit, you can get a secured credit card to start rebuilding or building your credit. You put down a deposit and that amount is your credit limit. After a time, you can switch over to a regular credit card. A bad credit score isn’t the end of the world but you should do what you can to improve it. By taking intentional steps to build your credit now, you will have an easier time being approved for loans and credit cards in the future. Working on your credit allows you to make an investment in your future that will lead to tangible benefits. Before you can begin to build your credit score, you will need to do a little bit of damage control. If you have bad credit because of late payments, outstanding debts or home liens, you will need to address the root cause of your current score. You must fully assess your situation, re-organize your finances and put yourself on the path to manageable debt. Below you will find some helpful tips when determining how to improve your credit score fast. You won’t be able to effectively solve a problem that you don’t fully understand. Many people know that their credit is bad, but they aren’t sure of the scale or scope of the issue. There are several consumer credit reporting agencies that offer free credit reports upon request. For example, Credit Karma is a great tool to get yourself a free credit report. Order a copy and read through it carefully so that you can check your score thoroughly and scan for any errors that may affect your credit score. Many people realize that their credit is actually being brought down by clerical mistakes or mistakenly reported factors present in their reports. If you see any of these issues, you can report them to the credit agency and work on getting them amended. With this report, you will have a better idea of how to improve your credit score. In many situations, people end up with a bad credit score because they overuse their credit cards. Until you are able to make a plan about how to increase your credit score, reduce your debt and curb your spending, you should stop using your credit cards. As a general rule, you should never make a purchase with a credit card that you cannot afford to make without it. If you tend to overuse your credit cards, consider storing them somewhere in your home instead of keeping them in your wallet. Some people who struggle with credit card overuse even freeze their cards (literally) so they are not tempted to use them for an impulse buy or online shopping. Now that you have your credit report in hand and you’ve momentarily stopped your credit card use, you can organize your finances—including your debts and assets. Compile a list of all your loans and lines of credits, as well as the balances you owe and the interest rates. The outstanding loans with the highest interest rates should be your top priority. Make a budget that minimizes your spending as much as possible and allocates greater resources to paying off these debts over time. With so many different payments and deadlines to keep track of, it’s easy for things to slip under the radar. Take the time to populate a calendar with payment reminders and deadlines so you always know when payments are due. You should also take advantage of the payment reminders offered by some banks, along with their online auto-pay tools. Although you will not be able to take your credit score from cringe-worthy to outstanding overnight, you can expedite the credit-building process by taking the right financial steps now. If you’re wondering how to increase your credit score fast, you should consider taking some more calculated steps and following certain financial principles. You will not be able to fix your credit without making some changes to your current spending, budgeting and credit use. A household budget won’t do you much good unless you stick to it. Even though you might have to pass up on some purchases and cut back on things like eating out temporarily, you will thank yourself once your debt is under control and your credit score is back in good standing. Make your payments on time, every time. Set multiple reminders for yourself and automate payments if you can. If automatic payments are not an option, you can set a date during the month to make all your payments at once. Doing so can help you stay organized and minimize stress. If you simply are not sure how to improve your credit score, it may be helpful to speak with a financial professional. There are plenty of advisors who specialize in helping people get out of debt, and they know how to increase a credit score fast. When some people ask how to improve their credit score, they expect the answer to require a complication of their finances. In truth, the best way to boost your credit is to be consistent with the payments that you are already making rather than opening additional lines of credit or juggling several different loans at once. 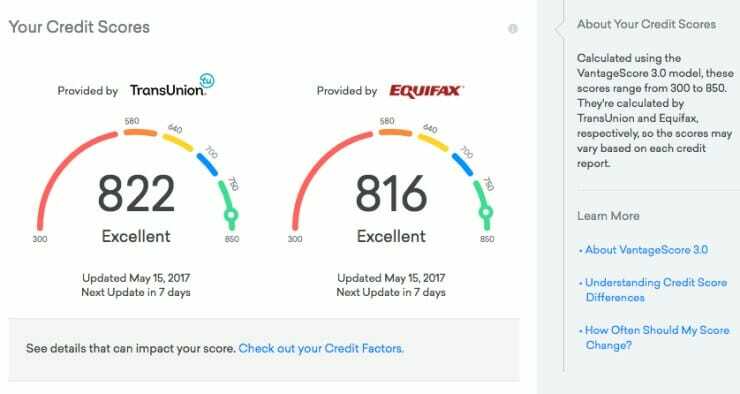 The good news about working on your credit score is that you can make pretty significant improvements in as little as a few months. The bad news is that there are some factors that can only time will fix. For example, delinquent payments remain on your credit report for seven years and bankruptcies and liens may appear on your report for up to 10 years. In addition, hard inquiries, when a bank or financial institution inquires about your credit for the purposes of approving you for a loan or line of credit, generally appear on your report for two years after the inquiry. Make sure your expectations are realistic, and try not to obsess over your credit score. Outline a plan and set yourself up for success so that you don’t have to spend time worrying about your score or stressing about payments and debts. The best thing you can do is to start working on your credit as soon as possible. The sooner you get your finances and credit in order, the sooner you will be able to reap the many benefits of having a solid credit score. Credit Karma: A free, ball park credit score. A soft check so it won’t ding your score. 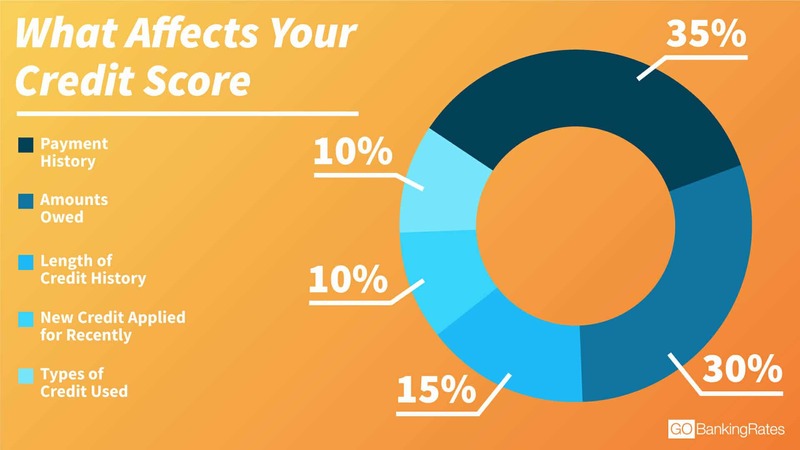 What Makes Up Your Credit Score: Read more in depth about what goes into a credit score.